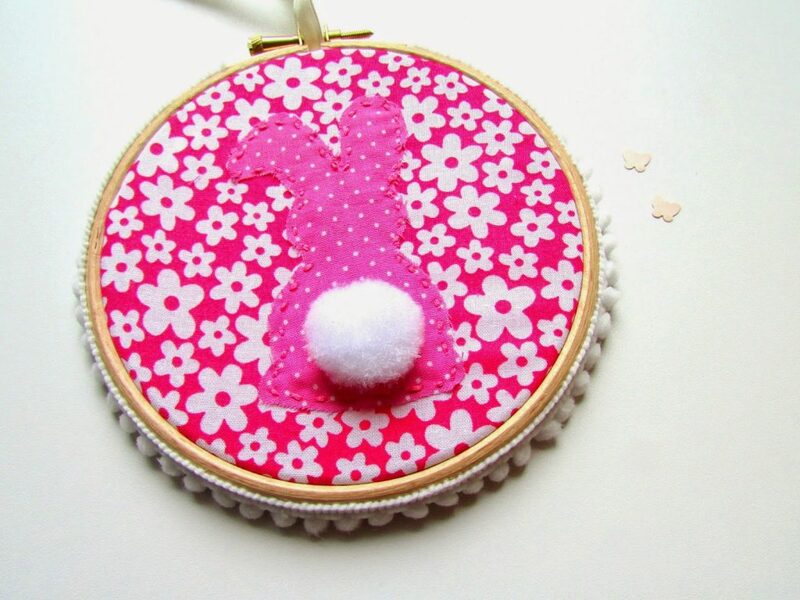 I love rabbits and bunnies and every cute small animal! And since Easter is close, it was a great opportunity to craft something colorful for a unique friend…my Secret Bunny! 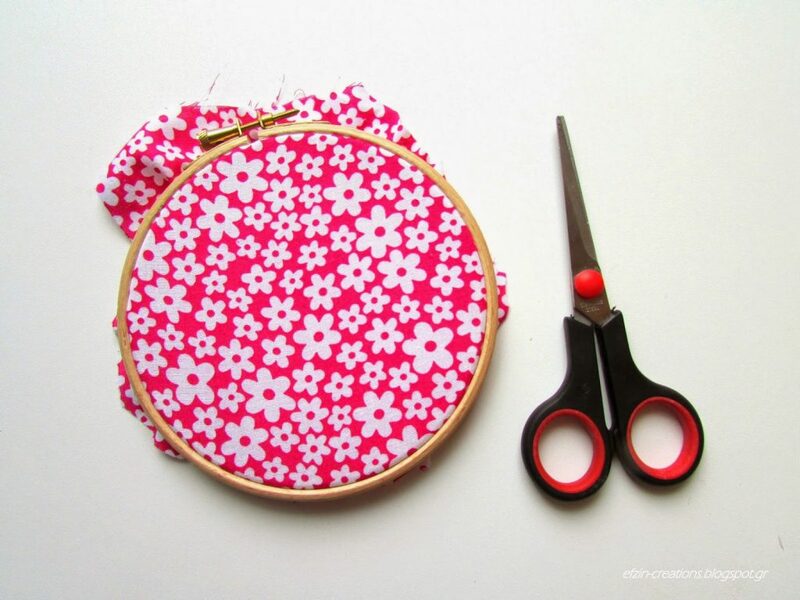 This is a new experiment, but lately I got passioned with embroidery and sewing and fabrics and hoops! 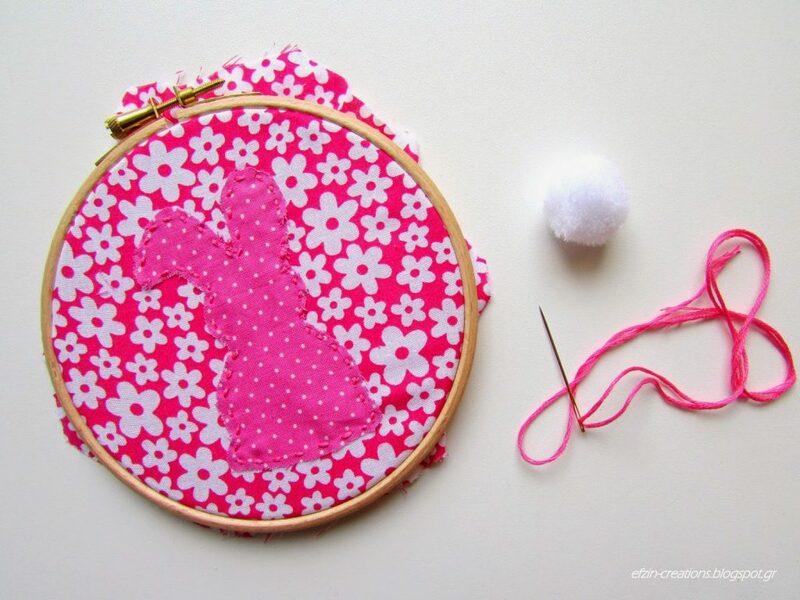 I am not an expert of the kind, but I try to create something uncommon every time and so far I think I managed it well! 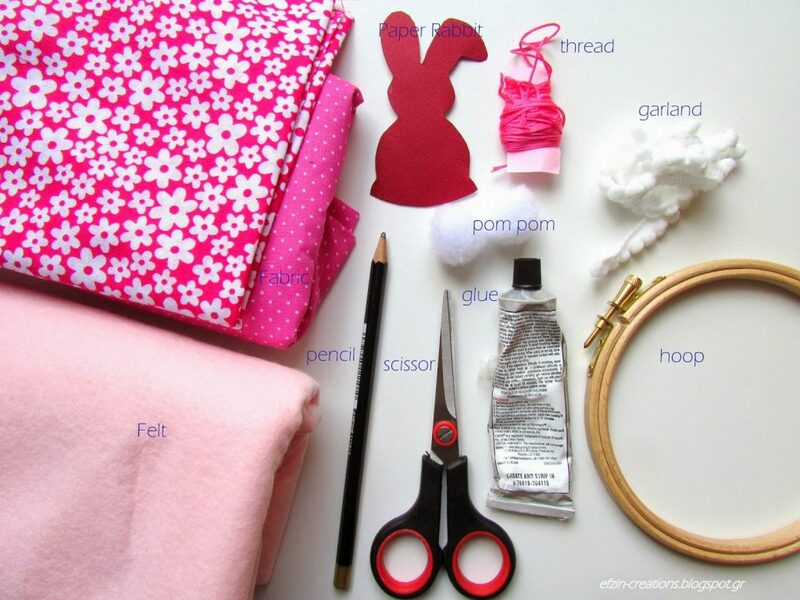 Ntina from Happy Girly Crafty blog made a beautiful Easter Bunny Canva and this was the inspiration for my project. 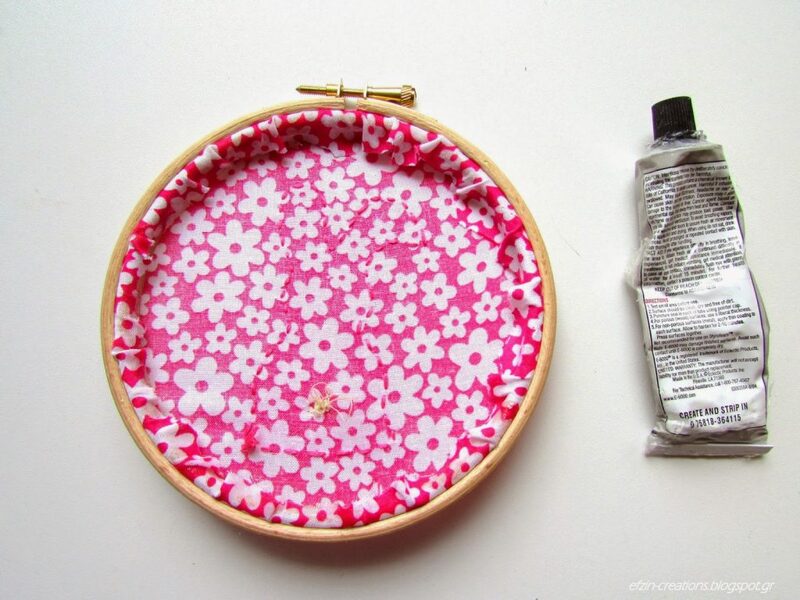 First use your fabric and put it on the hoop. 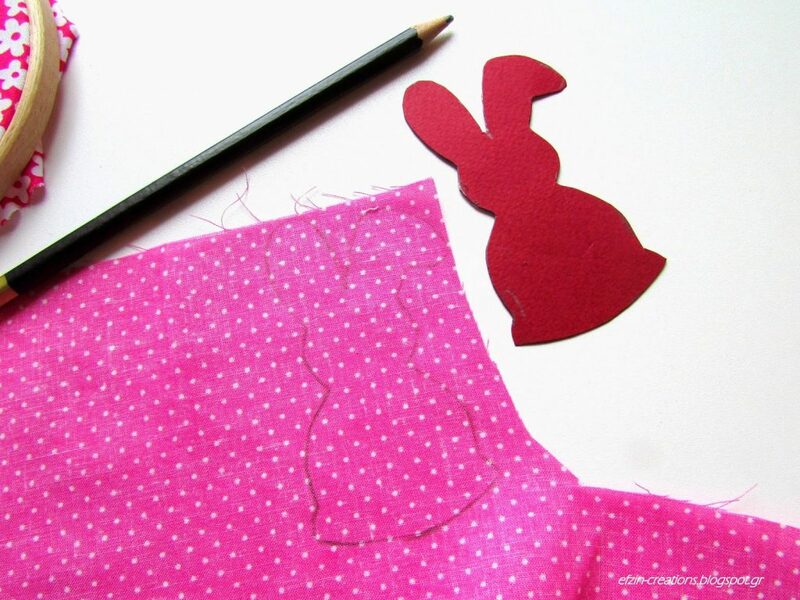 Then download the bunny pattern from Ntina’s blog and cut it. 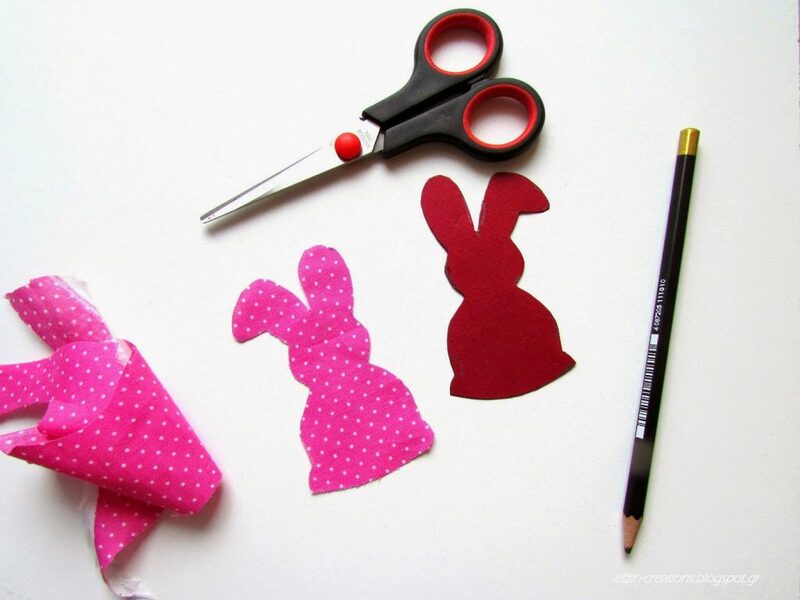 Use this paper bunny to draw it on the second fabric and cut the fabric bunny. 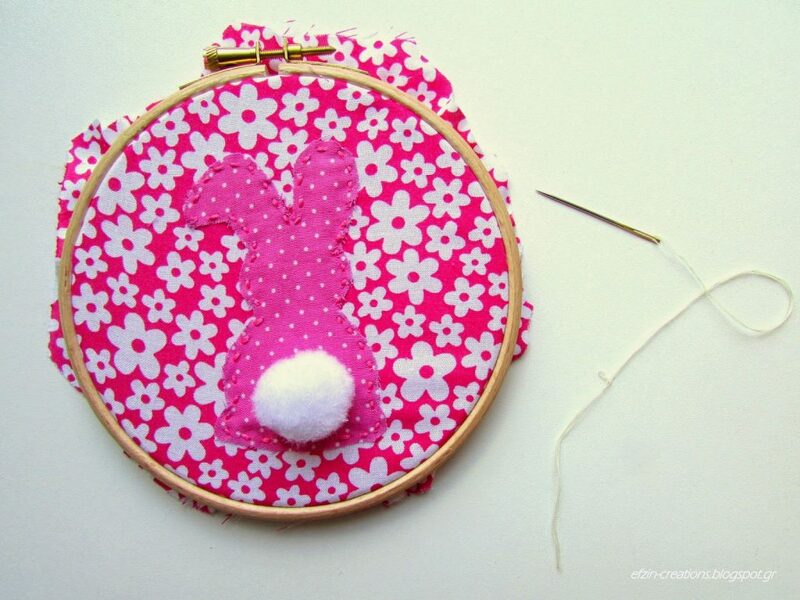 Add the bunny on your hoop and sew it with a simple stitch. 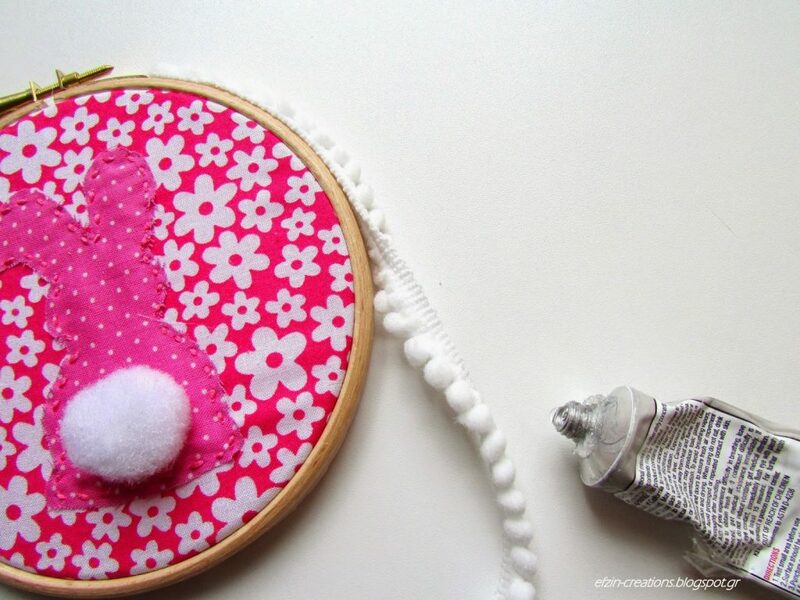 The bunny has also a small and cute tail…use the pom pom to make it. Almost done. 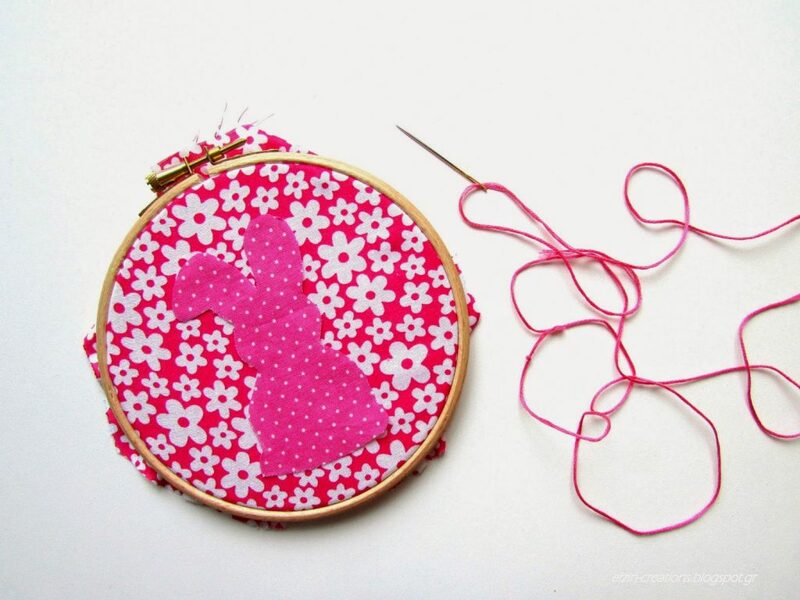 The sewing part is over and now we have to complete the hoop. 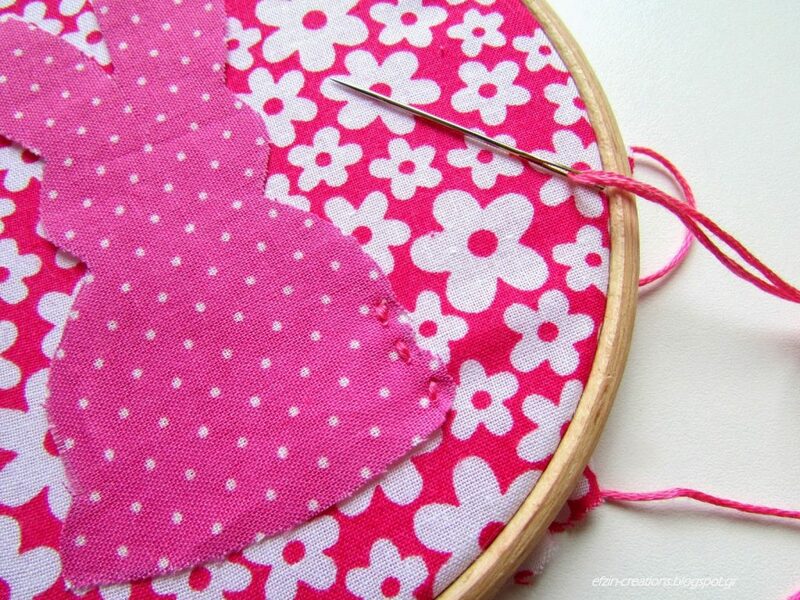 First use glue and stabilize the fabric remaining piece in the back side of the hoop. 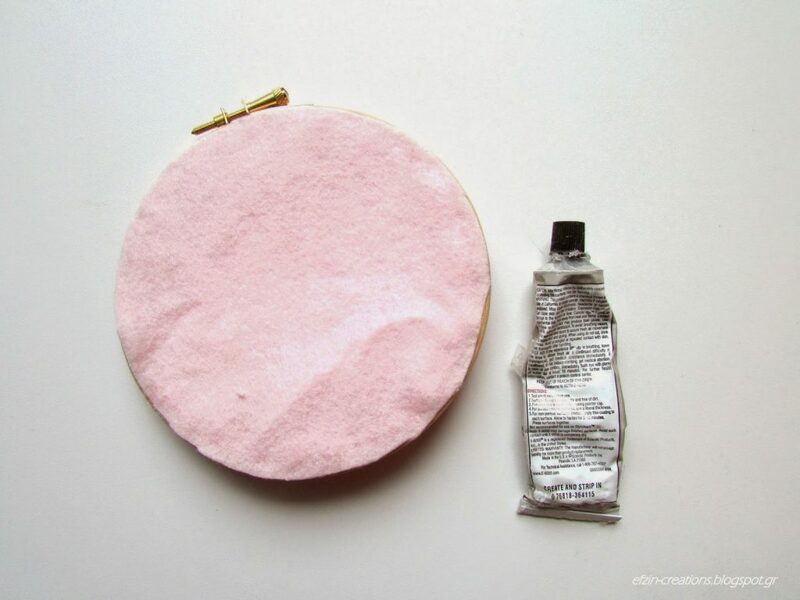 Now we are going to need felt. 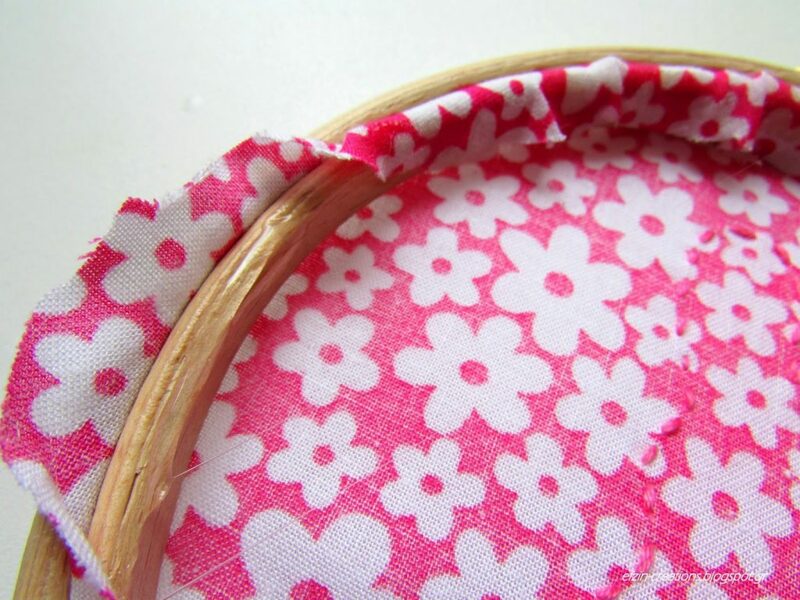 Cut a round piece, at the same size with the hoop and glue it on the back side of the hoop. 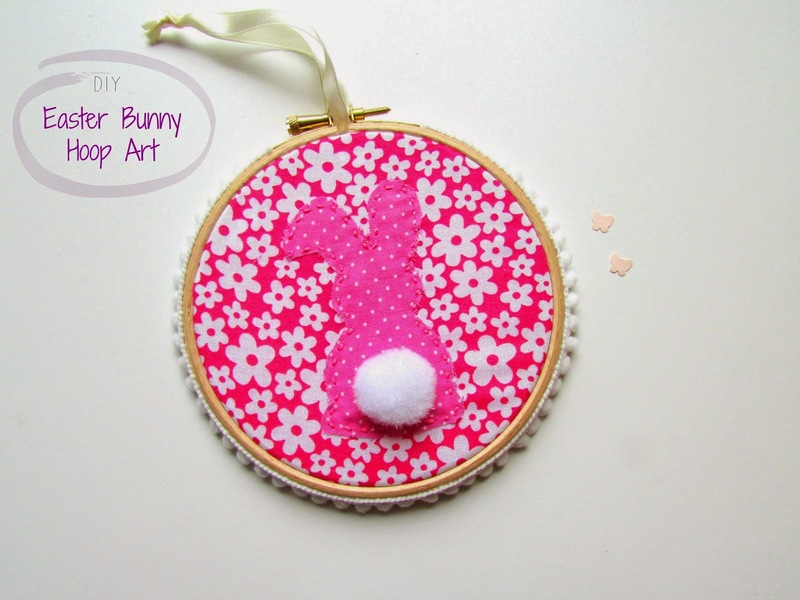 Your Easter Rabbit Hoop is ready! But I wanted to make it more special…a white tiny pom pom garland on the wooden part (use glue) and we are done! What do you think? Isn’t it easy? 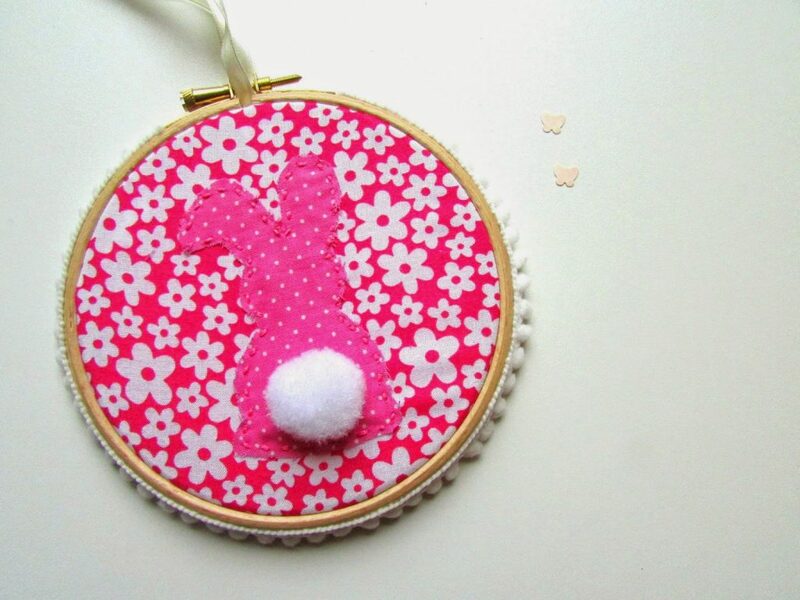 And I think that it is a piece that can be use in the nursery room hanging on the walls or in any place of your house, even if it is not Easter!